Today, we use and maintain fireplaces mostly to continue the winter tradition of having a fire and to enjoy the ambiance it provides. Before the 20th century, fireplaces were essential to the main heating and cooking source in homes. For all the useful attributes the fireplace provides it’s a fantastically inefficient way to heat a home. Electricity and central heating forever changed how the world uses fireplaces and how architects feature them in our homes. No longer do we need to huddle around the living room fireplace to keep warm before retreating to the cover of heavily blanketed beds to stave off the night’s cold. Today, featured more as a symbolic cornerstone to any modern living room or family room, the fireplace has evolved to become really no more than an accent piece, not unlike purchasing a piece of artwork to hang on a wall. Designs come in many styles, shapes, materials and sizes. There are many choices available at the hand of homeowner and architect and many of which can yield fantastic results. For example, firebox openings varying based on a client’s personal taste, budget or what the architect feels best for the space. 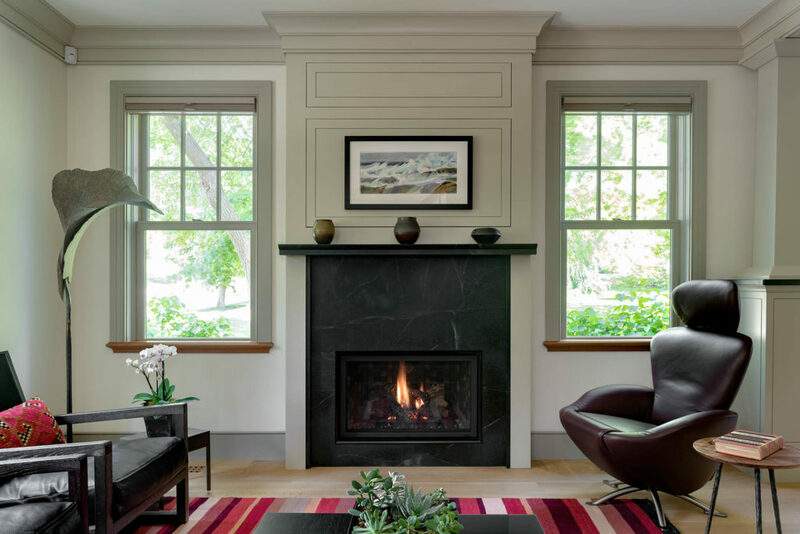 Mantels, the decorative shelf that rests above the firebox, can be made from stone, masonry, concrete or wood. Firebox surrounds, which frame the opening of the firebox, need to be made from non-combustible material and are typically made of stone, tile or concrete. The overall design of a fireplace tends to compliment the style of the home. A traditional home with crown mouldings, wainscoting and more elaborate trim work would be constructed with similar trim profiles and often exhibit additional architectural details, like pilasters, paneling and brackets. These architectural details provide depth and character to a fireplace so that the fireplace becomes a striking focal point in the room. The fireplace must look as good without a fire going as it does with. Modern and contemporary designed homes take a more streamlined approach to the fireplace, often removing many of the elaborate architectural details in favor or a more refined look. The fireplace is moved into the background, with simple lines and minimal projections. Materials such as metal, stone and concrete are used as a hearth, the material located below a firebox opening to protect the floor from displaced embers and projects out from both the face and the sides of the firebox opening. 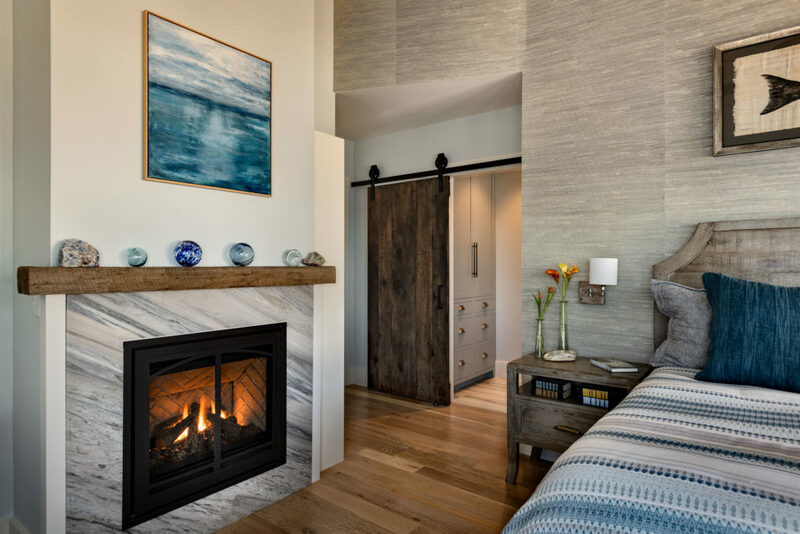 It’s not uncommon to find a modern home use an enclosed gas fireplace insert to eliminate the hearth from the design to further reduce the fireplace’s visual impact on a room. 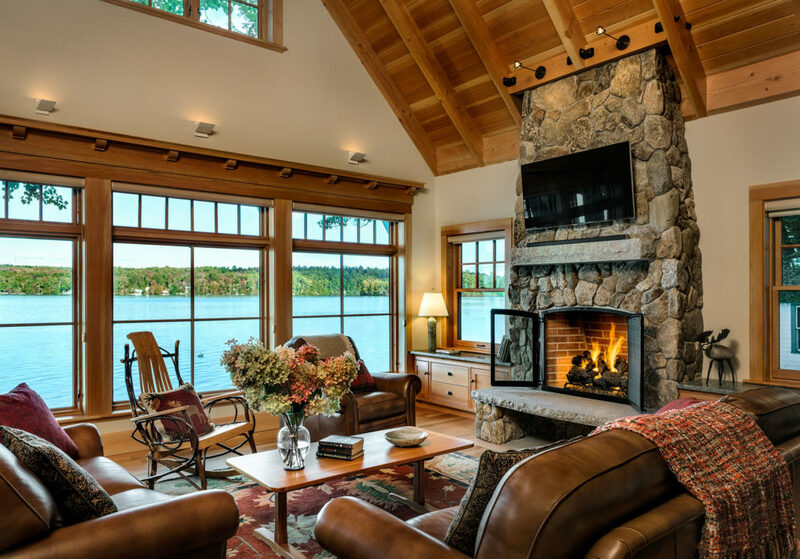 Homes in the lake and mountain regions of New England tend to follow a rustic approach to fireplace design with stone, either full size, veneer, or cultured stone, installed over the fireplace body. The body is the part of the fireplace that forms its main mass constructed from the floor to the ceiling. 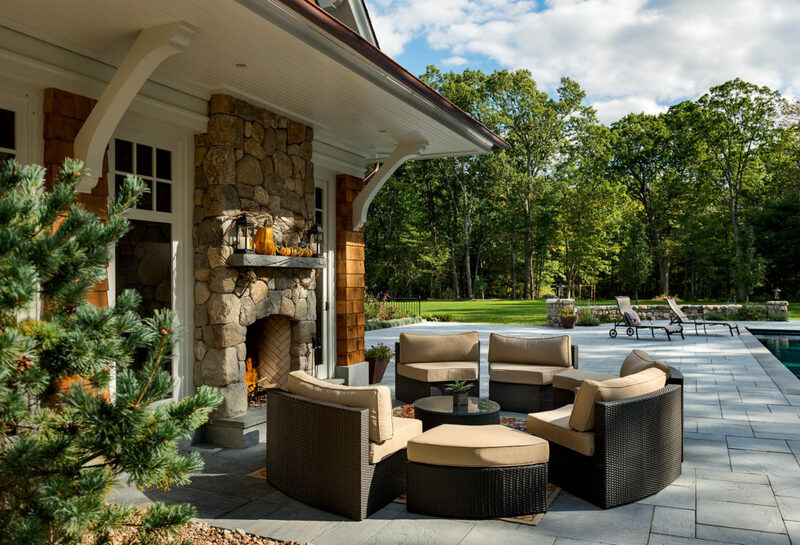 Fieldstone is a common stone used throughout New England as it’s readily available and fits the local architectural vernacular, but other stone and stone patterns can be used to compliment the local stone found in the home’s area, such as a home in Colorado and Wyoming using ledgestone. Raised hearths are used to give space to store wood underneath or for an elevated perch to sit and enjoy the fire more intimately. Timber, either new or reclaimed, is a popular choice for a mantel. The checks in the wood grain and the weathered imperfections add a layer of warmth against the hard nature of the stone. The overall effect is one of solidarity, where the fireplace appears rooted in place inside the room as if the fireplace existed long before the house was built. 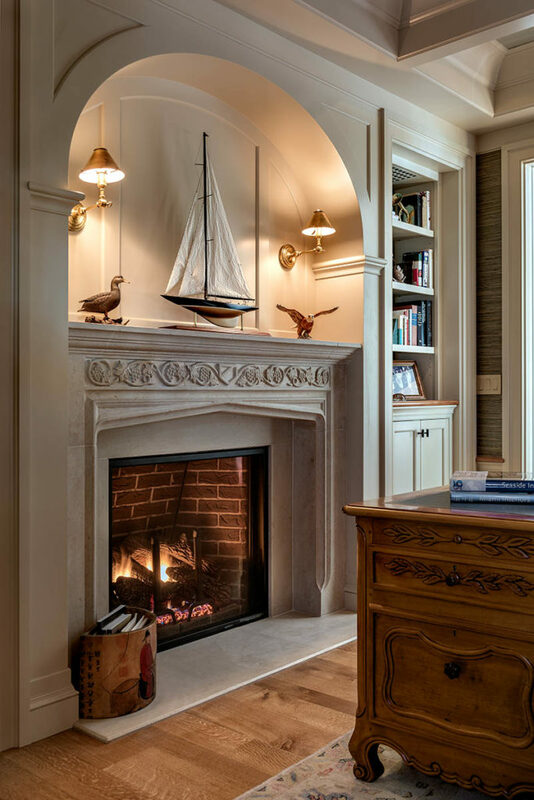 Fireplaces are not just limited to living rooms and family rooms. They are also appropriate in dining rooms, sunrooms, bedrooms, screen porches and outdoor patios, but before you add a fireplace to your home, please check with your local architect or code enforcement officer to review and location of your proposed fireplace or review an existing fireplace you want to restore, as there are strict regulations as to how wood and gas fireplaces are detailed and operated and can vary from room to room. 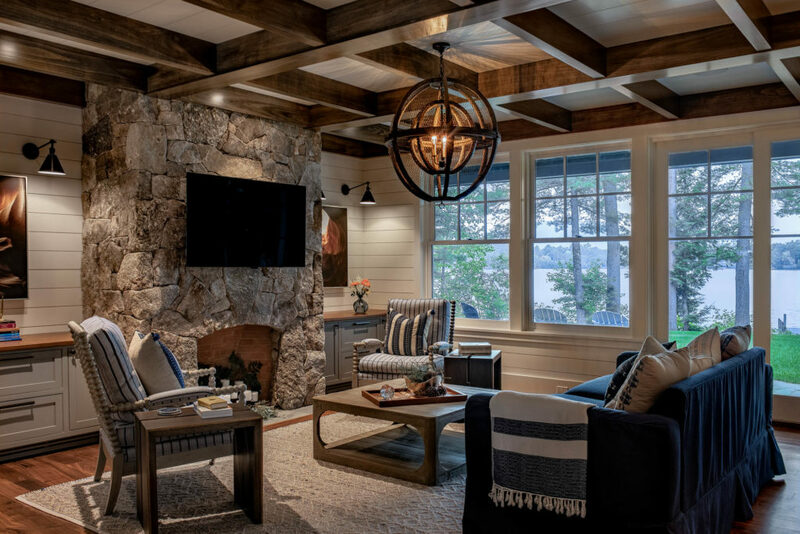 Another important design factor to consider your fireplace project is how to incorporate televisions and audio-visual devices in a room with a fireplace. 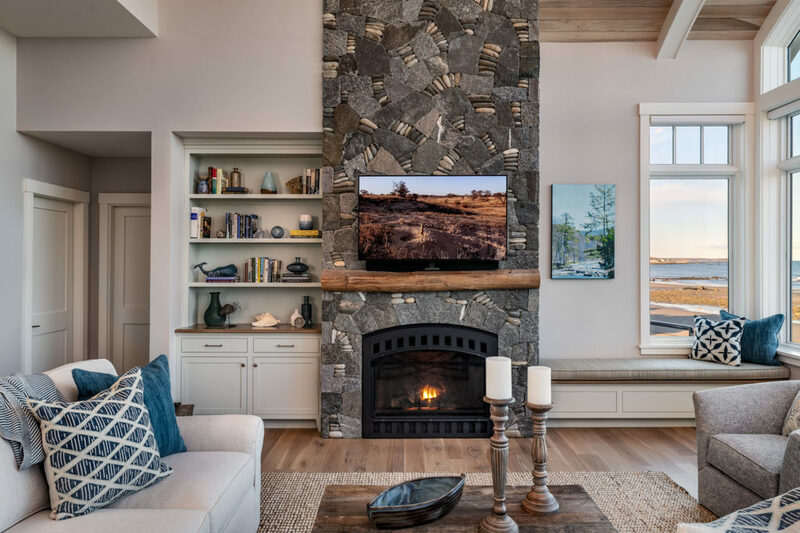 Generally, furniture will be centered on the fireplace as this is the main focal point, but of course today’s modern fireplace, also known as the TV, wants to be front and center. 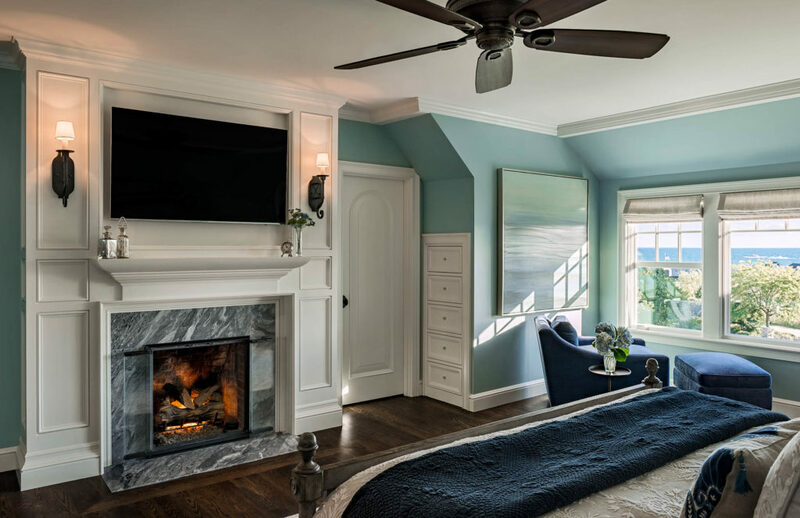 Many homeowners choose to locate the TV above the fireplace, but this can create odd viewing angles as the TV must often be well above the mantel and even higher if the hearth is raised. An option to improve the TV’s viewing angle is to locate the TV on the side of the fireplace in a piece of built-in millwork. Of course, this requires significant space on either side of the fireplace as larger TVs are becoming less expensive and more popular to own. Make sure to know the TV’s dimensions before finalizing the fireplace and associated cabinet design. Fireplaces are classic, charming, timeless, and can bring warmth and enjoyment to your home all year round. Designed and constructed correctly, they can bring enjoyment for generations of homeowners. So, while there’s still a chill in the air, give some much-needed attention to your fireplace. If you don’t have one, consider adding one to your home or include one in a new renovation. Contact us to get started.